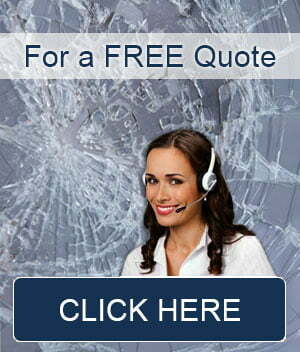 Professional Windscreen Repair and Replacements. As crazy as it sounds, some people are not too bothered when they discover a chip or crack in their windscreen. These are the people that think: “It’s so small. I’ll fix it later.” However, this is very risky thinking. A small chip in your windscreen may seem fine now. However with normal driving your car is subjected to lots of vibrations. These vibrations cause flexing in your windscreen. This is perfectly normal and your windscreen is designed to handle these stresses. However once you introduce a small crack into the mix, things can escalate very quickly. What may start as a small chip anywhere on your windscreen, can turn into a small crack in an instant. The crack can then quickly grow and become larger. Before you know it what started as a small chipped windscreen could be a crack across the entire glass panel. For this reason we advise to repair all windscreen chips at their first sight. 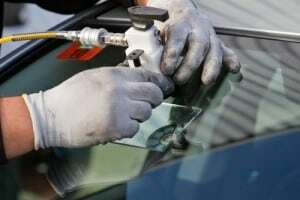 We offer you a mobile windscreen chip repair service at your car’s location in Sydney. As mentioned above you do not want to drive your car when you have a chip in the windscreen. While some people take the risk you never know when the chip could turn into a crack that travels across your whole windshield. When this happens you need a full windscreen replacement. However with a simple windscreen chip repair the chip can be totally removed. Your windscreen will be as good as new. Contact us as soon you notice a chip in your windscreen and get it repaired before it turns into a crack. A cracked windscreen is bad news. All you need to do is put slight pressure on the crack and you can watch it grow (NOTE: Do not try this). The strength of you windscreen has been comprised and you need to fix it fast. 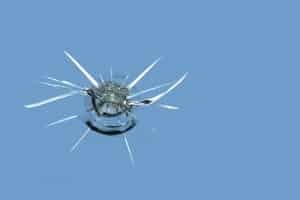 Depending on the size of the crack in your cracked windscreen we may be able to repair it. However if it is too large then you will need a full windscreen replacement. Repair is always quicker and cheaper than a replacement. So contact us as soon as you realise that you have a cracked windscreen – no matter how small the crack may be. Most windscreen chips occur from flying stones. These stones are normally kicked up by surrounding traffic. Make sure you watch out for stone chip signs when driving through road works. During these times keep a suitable distance between you and the person in front of you. If you do receive a chip in your windscreen from a flying stone whilst driving, take note of it and request a stone chip repair asap. If left untreated this could easily lead to a cracked windscreen. Remember having to request a windscreen chip repair is much easier and cheaper than a full windscreen replacement. Sydney, NSW, Australia. All rights reserved.